Parents of troubled boys in Nevada seek help for the problems that their sons are facing and depression treatment centers can provide that help for teenage boys. 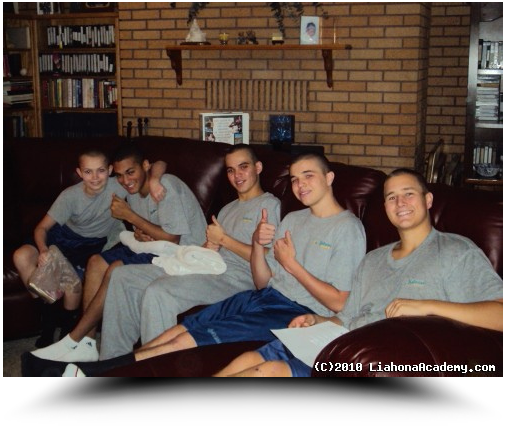 Liahona Academy is a residential treatment center for troubled boys. Call the admissions staff today at 800-675-8101 for more information, or continue reading. If you feel that your son is exhibiting any of the above warning signs of depression or if he has experienced a sudden change in his normal behavior, then please call Liahona Academy today to see how the professional staff can help your son and your family; 800-675-8101. Liahona Academy is an all boys in-patient treatment center that provides recovery and therapy for teenage boys suffering from depression. Through traditional therapy, recreational hands-on therapy, daily challenges, and other methods of recovery your son will gain an understanding of the cause to his depression and will learn the skills and tools needed to overcome these problems. In addition to therapy, your son will participate in the unsurpassed educational program focused on credit recovery and grade repair. We strongly recommend Liahona Academy to troubled boys in Nevada seeking treatment for depression. We are confident that your son can find the recovery he needs at Liahona Academy. After the duration of the program, your son will gain a new, positive outlook on life. Call today at 800-675-8101 and start the recovery process.